In an age where everything seems to cost so much, there are still a few joys that come pretty freely and singing is one of them. 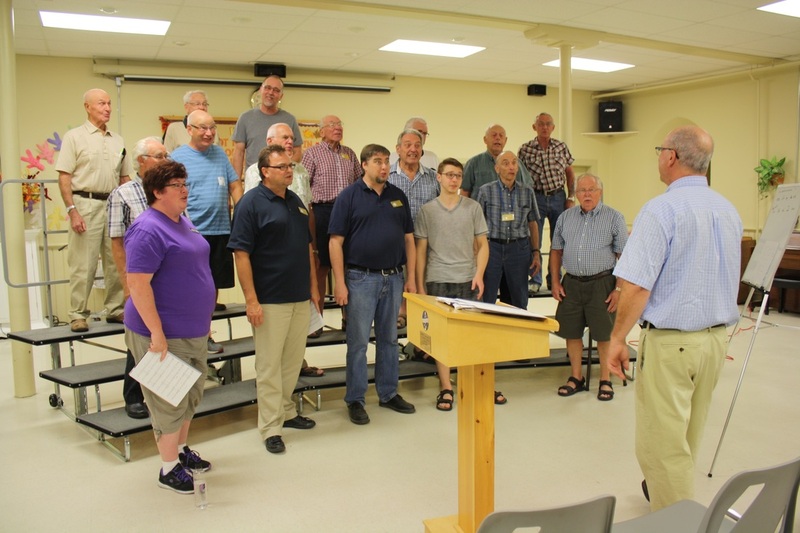 The Vocal Federation’s Barbershop Chorus is helping the community raise its voice in perfect harmony every Wednesday evening at St. Andrew’s Presbyterian Church on Albert Street at 7:30pm. They have been running the learn to sing program for the past 4 years, expanding their reach into the community. The group has grown slowly and steadily over the last couple of years, and this year is very excited to welcome a new teenaged member. “For parents barbershop looks like a great option for music education that may be a little lacking at the schools. We’re thrilled to see younger people coming out and showing an interest in what we do,” said Frank Knoll. 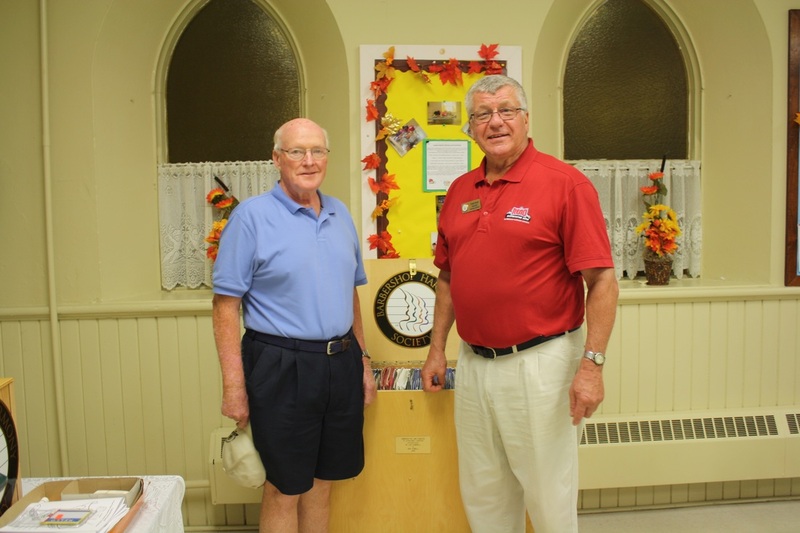 Frank is deeply involved in barbershop here in Strathroy and internationally, serving as the Ontario District President for the Barbershop Harmony Society. Barbershop harmony is an a capella musical form, meaning there is no instrumental accompaniment and all the songs are sung from memory. The BHS produces a song book containing 12 pieces that form the basis of the program, called the Barber Polecat Songbook. “Once singers learn these 12 songs, they can sing with anyone else who is involved in barbershop. It forms a core, shared set of music that allows us to sing together no matter where we meet,” Frank explained. The group has seen an uptick in interest thanks to the increasing popularity of shows like Gareth Malone’s The Choir and The Voice. “It’s definitely making a come back, thanks to those shows. But also opening it up and featuring young people’s choirs and women’s four part harmony groups has helped a lot. The perception that barbershop is something old men do is fading, thankfully. It’s a vital and energetic organization that is really focussed on reaching out to as many people as possible,” said Frank. There are an abundance of learning opportunities, from the Barbershop University in Nashville, Tennesee, to regular visiting choir conductors and vocal coaches that visit local chapters. Strathroy alumni have gone on to direct choirs themselves and work with other chapters, as well as sing with church, youth and military choruses across the country. The Strathroy group sure is busy. They regularly sing at respite and senior’s homes, hold a Christmas Benefit concert annually with proceeds going to the Salvation Army and of course, mount their ever popular spring show at the Strathroy Christian School in late spring. This year they did a surprise flash mob singing event to help celebrate the wedding of one of the member’s son at the Clock Tower Inn and Bistro, and travel all over the region to perform. This year’s Christmas show is set for December 3rd at the Christian Reform Church on Metcalfe street and is sure to be a great event. For many of the members the weekly meetings, travel opportunities and camaraderie keep them coming back. Because the songs are committed to memory, it’s a great activity for keeping mentally sharp and the community of barbershoppers prevents the great scourge of loneliness and isolation from seeping into lives for many retired members. The musical selections range from very traditional works to much more contemporary pieces, with new compositions entering the song book every year. Their charitable work is well known. Providing funds for speech pathology and musical education to school aged children across North America. If you are interested, why not go out for an evening this week? They’ll sure be happy to sing along with you!